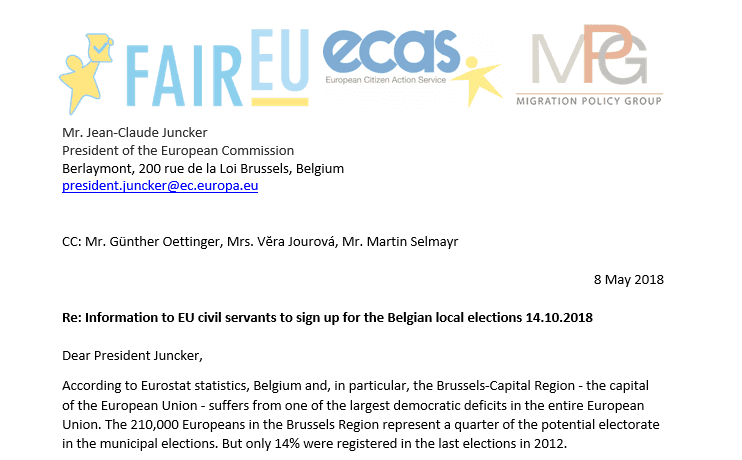 Yesterday, ECAS and the Migration Policy Group (MPG) have jointly submitted a letter to EU leaders Presidents Jean-Claude Juncker, Luca Jahier, Antonio Tajani, and Karl-Heinz Lambertz encouraging them to help raise awareness of the municipal elections in October 2018, and encourage EU citizens to register to vote. The letter underlines the impact that additional support from the institutions would have in strengthening political participation in municipalities. According to surveys the low registration rate of EU citizens in the previous local elections was because they did not receive the correct information in time. Many were unaware that registering to vote is a simple procedure, that it is possible to vote by proxy on the day of absence, and that it is equally simple to de-register after voting. The letter illustrated the work of the two ongoing campaigns: VoteBrussels (led by MPG, in the framework of the FAIR EU project) and Think European Vote Local. The two campaigns recently published a brochure in three languages ​​(French, Dutch, English), A3 posters (in English) and a complete dossier (in English), all of which are available on this website. 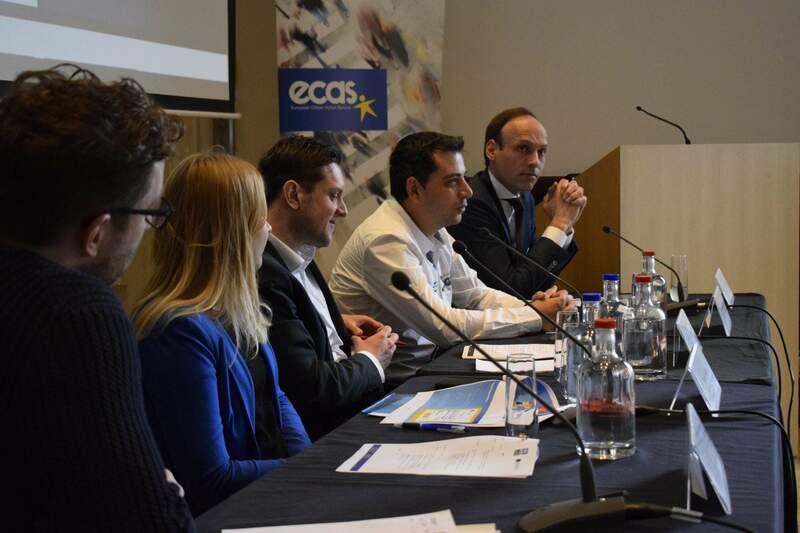 Over the past few months, VoteBrussels has been training volunteers to help encourage EU (mobile) citizens to exercise their political rights in the local elections. 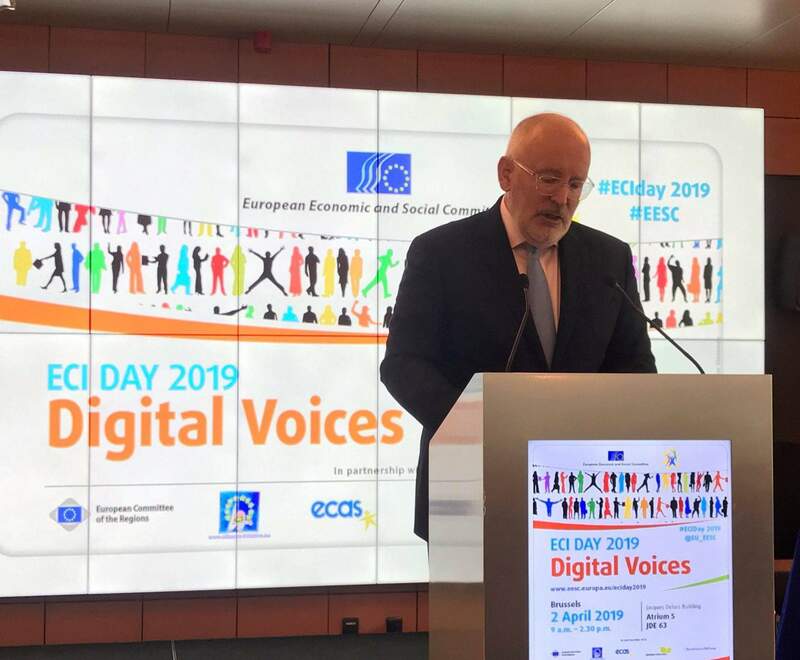 This has been accomplished by collaborating with Brussels municipalities, and delivering a series of presentations at their local commune premises. Similar events were organised at the Free University of Brussels (ULB), during various social and cultural events in Brussels, and on social media. The local elections constitute one of the milestones of FAIR EU (Fostering Awareness Inclusion and Recognition in the EU), an ongoing project aimed at strengthening inclusion of EU mobile citizens in their host EU country’s civic and political life, and tackling obstacles they face when exercising their rights. This project is based on the the fact that exercising political and civic rights depends on the implementation of free movement rights. 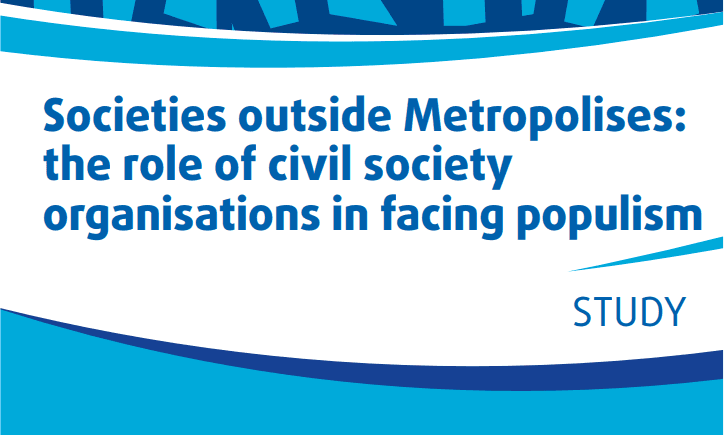 It is chaired by ECAS in partnerhsip with MPG, EUI, ALDA and Malmo University. Read each individual letter in English here: Jean-Claude Juncker, Luca Jahier, Antonio Tajani and Karl-Heinz Lambertz. Read more about the FAIR EU project here.